John Bogle is born in 1929, on May 8th. He is born in Verona, in the state of New Jersey, in the United States. He is born during the first year of the Great Recession. John’s family was greatly affected by it. His parents lost their home and their entire inheritance. His parents split after his father started drinking. He was raised by his mother. During his university years, he spent a lot of time and effort studying the mutual fund industry. He actually continued to study this subject for most of his life. After a lot of research, he discovered that most of the active fund managers were not beating the market. Even though some funds beat the market for a few years, they quickly underperformed the market after that. On the long-term, no active fund was outperforming the market on average. Moreover, when you take the expensive fees into account, most of the funds were largely underperforming the market. This led him to believe that the solution was to create a passive index mutual fund. 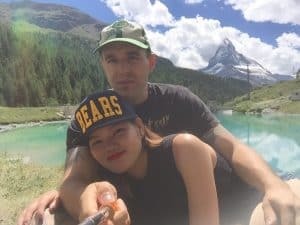 After he graduated, John went into investment banking. In 1951, he started at the Wellington Fund company. The fund manager, Walter Morgan, soon promoted him to assistant manager. He influenced the company into concentrating their efforts into a single new fund that he wanted to create. He finally succeeded and the company followed its strategy. This was a turning point in John Bogle’s career. In 1970, he replaced Morgan as the chairman of Wellington. However, he did not stay long since the board fired him for having approved a merger that did not go well. John considers this mistake as his biggest one. But I believe this was for the best because he soon went on to create Vanguard! He said himself that he learned a lot from this particular mistake. John founded the Vanguard company in 1974. At first, the company was a subsidiary of the Wellington company. However, it was soon made independent and owned by its funds at the demand of John Bogle. This is the first company following this model. And this is one of the things that made Vanguard so successful. Indeed, this removes the conflict of interest between the investors and the shareholders. 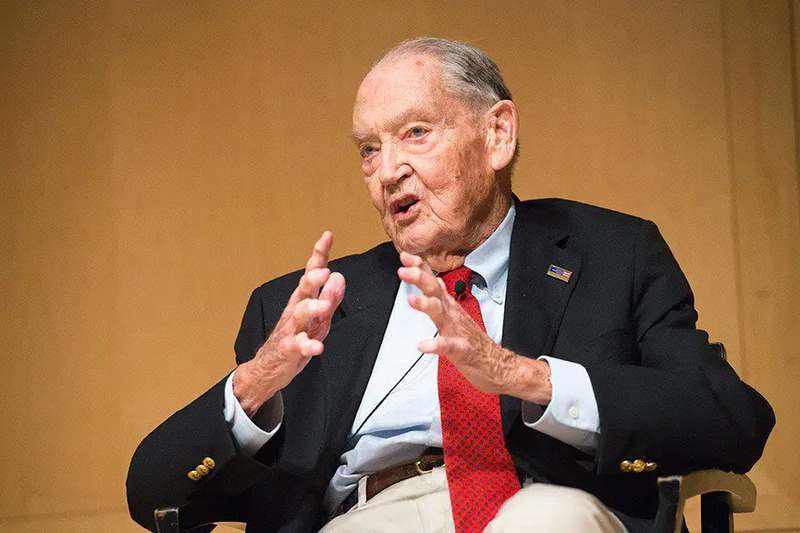 Very soon after having founded Vanguard, Bogle created the first ever index fund: the First Index Investment Trust. Vanguard later renamed the Vanguard 500 Index Fund. At first, the fund started very slowly, with only 11 million dollars being raised on the initial offering. Fortunately, it was soon merged with the assets of one of the Wellington funds, bringing in almost 100 millions of assets into the index fund. After this, things started to accelerate for Vanguard with more and more success for their funds. At first, other mutual funds company called the index fund, Bogle’s folly. But they soon realized that it was becoming very efficient. Several other companies started to offer index funds. But they were not really successful since they continued charging high fees. Since the only difference between two different index funds of the same index is the fees, investors prefer funds from Vanguard. In 1986, Vanguard started their second mutual fund. This time, it was a bond index fund (Total Bond Fund). This is also the first bond index fund to be created. In 1987, they created an index for the rest of the United States market that included all the U.S. stocks but the stocks from the S&P 500 index. After this, they created many index funds. For instance, they created a small cap index fund and an international index fund. And their funds started to become among the biggest funds in the world. At this point, Vanguard was becoming one of the biggest mutual fund company as well! Today, they have more than one hundred mutual funds. Several things led to this incredible success. They did not charge any load fees. That means that your money is directly invested in their funds. There were no other fees than the management fees. And their fees were lower than their competitors. This made them very attractive. And the funds were performing very well. They also started offering mutual funds with Admiral Shares. The general funds were Investor Shares with a minimum investment of 3’000 dollars. But the Admiral Shares offered even lower fees for a minimum investment of 50’000 dollars. After some heart issues, John Bogle resigned from his position as CEO of Vanguard, in 1996. He relinquished the position to John Brennan. He got through a heart transplant operation. After this, he returned to Vanguard as chairman, before finally stepping down in 1999. As should be very clear by now, John is a very strong advocate for passive investing. He has also criticized the active funds that are charging too many fees and not consistently beating the market anyway. He also believes in minimizing the cost of one’s portfolio. One great thing that he advocates for, is having a very simple portfolio. He only owns two funds. One stock index fund and one bond index fund. He also does not like rebalancing. On the long-term, it will not help to rebalance according to him. Another thing that John Bogle advise is to be wary of your emotions. Emotions are never good when you are investing. They make you take very bad decisions that will reduce the performance of your portfolio. It is also interesting to note that John Bogle does not invest himself outside of the United States. He does not have anything against other stock markets. But he believes in investing into what he knows best. This goes against Vanguard own research and against most conventional advice. Today, all Vanguard mutual funds are also available as Exchange Traded Funds (ETFs). However, John Bogle does not like ETFs. The reason is simple, they are too easy to buy and sell. Mutual funds cannot be sold and bought so easily. He believes that investors are timing the market too much with the ETFs. And this may well be true for some investors. However, he recognized that there are some good uses for ETFs. If the investors are holding them long-term, they are a good alternative to mutual funds. Investors should simply use them like mutual funds. Although he has a net worth estimated to 80 million dollars, John Bogle is very frugal. He has said many times that he does not like spending money on himself. Most of his frugality comes from the fact that his parents lost all their money during the Great Recession. This made much more careful with money. He does not even fly first class. This is really impressive. If I had so much money, I would definitely fly first class. This shows that he is really frugal in essence, not by necessity. His only known extravagance is to take one week off in Winter and go to a resort in Florida. This is not really extravagant for such a man. During his life, John Bogle has written many books. A lot of these books are about mutual funds, John Bogle’s favorite subject. So far, I have only read The Little Book of Common Sense Investing. This was really good. It was showing that you really should invest in index funds and not active funds. You are saving on fees. And you are also reducing your risks. Because fund managers are not consistently beating the market. Therefore, it is much better to get the returns of the market. But John Bogle wrote many more funds. The most famous one is probably Common Sense on Mutual Funds. Most people consider this book a classic. But he also wrote books on Vanguard. For instance, The Creation and Building of the Vanguard group. Overall, his books are very well rated. I believe that John Bogle is one of the few great men in finances. Even though he did not build a huge fortune like Warren Buffet, he did a lot of good to the investors. Without him, we would maybe not have all the index funds that are offered on the market. And we would maybe not have Vanguard as well, one of the most respected mutual fund companies. His investment advice is very smart and his example should be followed by most investors. Investing in cheap index funds rather than expensive active funds makes a lot of sense. And also, keeping a small and simple portfolio will only help you! And he managed to stay frugal despite having a net worth of around 80 million. I think he is a great example! What do you think about John Bogle? Did you learn new things about him? Do you have any more information on him? Because Jack Bogle did most for small investors like us. He’s a hero for small investors. He’s probably one of the few in finance to actually care about his clients. Thanks for stopping by luka! Previous Previous post: What kind of FIRE are you?